The TH&B was a subsidairy of the Canadian Pacific and New York Central. 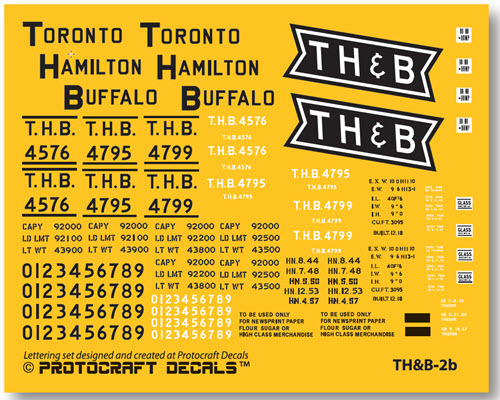 Based in Hamilton, Ontario, the TH&B never reached Buffalo or Toronto, and was wholly absorbed into the CP in 1977. 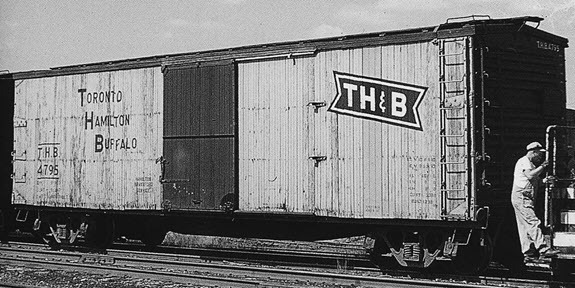 In November 1940, the TH&B received 300 used USRA boxcars from the NYC (Series 161700-161999), and assigned THB series 4500-4799. These cars saw revenue service into the early 1960’s. In April 1955, three cars - 4576, 4795 and 4799 - were assigned into local express service between Welland, Dunville and Brantford, with sides painted yellow; doors, roof and ends black. Lettering was black stencil paste.